The Achilles tendon is a richly vascularized tissue at the junction of the gastrocnemius and soleus muscles, bearing heavy loads during physical exertion 1 , 2 , 3. Achilles tendinopathy frequently affects those engaging in racquet sports, running and other recreational activities, and is thought to be caused by many intrinsic and extrinsic factors such as weight, age or training techniques 4 , 5 , 6 , 7. The main symptom of this complex, degenerative condition is pain during exercise, with swelling of the tendon during acute phases 8. Treatment for Achilles tendinopathy is chiefly conservative, starting with immobilization and correction of training errors. Regimens of specific eccentric and concentric exercises can result in 82% of patients returning to normal activities in 12 weeks and 36% at 12 months, respectively 9 , 10. Therapeutic ultrasound may reduce swelling during the acute phase in some cases, but has not been shown to be beneficial over placebo treatment11 , 12 , 13. Other conservative methods include extracorporeal shockwave therapy, splinting/bracing and low-level laser therapy. Only the eccentric loading exercises show conclusive the most efficacious symptomatic outcomes 14 , 15 but without improvement in tendon structure 16. Conservative treatments yield no improvement in 25-45% of patients and surgery must be considered 17. During the standard surgical procedure, the tendon is incised longitudinally to restore vascularity and is cleaned of degenerated nodules and fibrotic adhesions 18. If practiced with endoscopic incisions, pain decreases are seen in 6 months 19 , 20, whereas with gastronecmius lengthening, improvements in tendon quality occur after one year, and return to sporting activity in two years 21. A variety of injection-based therapies have emerged as less traumatic treatment options for tendinopathies 22. During prolotheraphy, the injection of a hyperosmolar dextrose solution acts as an irritant to produce an inflammatory response 23, and has been shown to improve the condition in some cases 24 , 25 with pain reduction at 28 months 26. Injection with corticosteroids can result in short term benefit, although adverse effects including tendon atrophy are reported in 82% of corticosteroid injection trials 27. Injection with Platelet Rich Plasma (PRP) has been shown to improve tendon healing 28 , 29, and reduces healing time in anterior cruciate ligament reconstruction 30. However, PRP has not been shown to be effective for treating Achilles tendinopathy 31 , 32 , 33. Autologous blood injections have been used to treat affected tendons 34 , 35 , 36 and resulted in small improvements of Achilles tendinopathy after 12 weeks 37. Injection with autologous bone marrow aspirate concentrate (BMAC) is a cell-based therapy for tendinopathies 38 , 39. It has been shown to be beneficial for treatment and regeneration in different human pathologies 40 , 41 , 42 and in animal models 43 , 44. Smith et al 45 showed enhanced healing of naturally occurring tendinopathies in an equine model by injecting cultured autologous mesenchymal stem cells suspended in bone marrow supernatant, reporting no adverse findings and enhanced normalization of biomechanical, morphological and compositional parameters. To our knowledge, this report is the first clinical case of BMAC injection to treat Achilles tendinopathy. A 56-year-old female reported on first visit a painful “knot” in her left Achilles tendon. After ten years of symptoms, the pain limited her ability to participate in daily activities such as shopping, being up on her feet for longer than 30 minutes and wearing shoes other than sandals. She had been a very active tennis player and recreational athlete, but had been unable to fully participate in court sports for over a decade. She complained of point tenderness at the knot and described morning pain that would dissipate within one hour of waking, and pain upon exercise that would peak at the beginning and the end of her workouts. On physical examination, the patient had a large, palpable knot in the midsubstance of the Achilles tendon, readily noticeable and acutely tender. She reported a VAS Pain Scale of 3 at rest, and significant pain and tenderness (VAS of 8) with any compression when relaxed, as well as tenderness to palpation with mobilization from either the medial or lateral side of the knot. She also reported great pain and a VAS of 9 on walking. 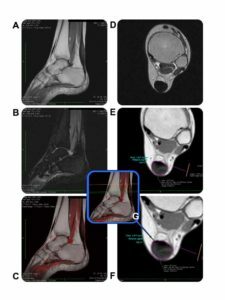 For radiographic diagnosis, she underwent an MRI scan of the midsubstance area of the Achilles tendon, including coronal and sagittal STIR, coronal, sagittal, and axial T1, as well as axial T2 images. The MRI showed severe hypertrophic changes with marked tendinopathy and a consistent intermediate T1 signal throughout the thick, echogenic area (Figure 1). The cross-sectional area of hypertrophic Achilles measured 2.272 cm2 at the largest point, extending from about a centimeter above the superior reflection over a distance of about 6 cm, and measured about 2 cm coronally and 1.5 cm from A to P. The relative signal intensity (RSI) was 307.839. Plain radiographs of the ankle and foot showed some pes planus deformity of the foot, but no significant osteoarthritic changes of the ankle. Figure 1. MRI of the patient’s left ankle prior to intervention, performed on a Hitachi 0.3 Tesla device. The name of the patient has been blacked out. G. Scout view – center green line represents the image slice in F taken at the most involved portion of the tendon left ankle. Special thanks to Dr. Paul Marsh, D.O. of Monticello Diagnostic Imaging for compiling these images. At this point, the patient had been to multiple physicians and had followed ten years of standard conservative treatment with stretches and anti-inflammatories. She had refused multiple offers of invasive operative interventions that could not promise return to court sports. She had also declined corticosteroid shots secondary to her knowledge of the atrophic affect of steroids. During detailed discussions, the patient was informed of her options of either the conservative therapy, which she had already tried and failed, or of the standard surgical procedure for Achilles tendinopathy, which she had been and still was unwilling to try. She was also presented with the possibility of attempting autologous BMAC therapy, to which she agreed with informed consent. She chose to have a non-operative intervention consisting of an in-office ultrasound guided injection of BMAC into the area of tendinosis. The proximal tibia was sterilely prepped and draped. A 1% lidocaine with epinephrine solution was injected in a subperiosteal wheel to prevent pain at the insertion of the Bio-MAC Bone Marrow Aspiration Catheter system®. (Biologic Therapies Inc., Ocala, FL, USA). A point was chosen for the insertion portal, just two finger-widths medial to the tibial tubercle and two fingers below the joint surface into the medial face, just at the metaphyseal area of the medial tibia. A 0.5 cm incision was made with a 15-blade scalpel to help avoid platelet activation at the time of catheter incision. The Bio-MAC aspiration catheter was inserted under power into the medial metaphyseal area and intramedullary area of the proximal tibia. The inner trocar was removed and the plunger was inserted through the catheter to create a better draw zone and to decrease the turbidity and platelet activation at the time of the draw. The catheter and the syringe were coated with ACD-A prior to use, to avoid clotting and platelet activation and a decrease in cell counts at the time of the aspiration. 60-cc of bone marrow were withdrawn through the catheter. The patient tolerated the aspiration well. The aspiration catheter was removed from the insertion portal and the incision closed with #3-0 nylon. For postoperative pain control, 3-cc of 1.5% plain Marcaine were injected. 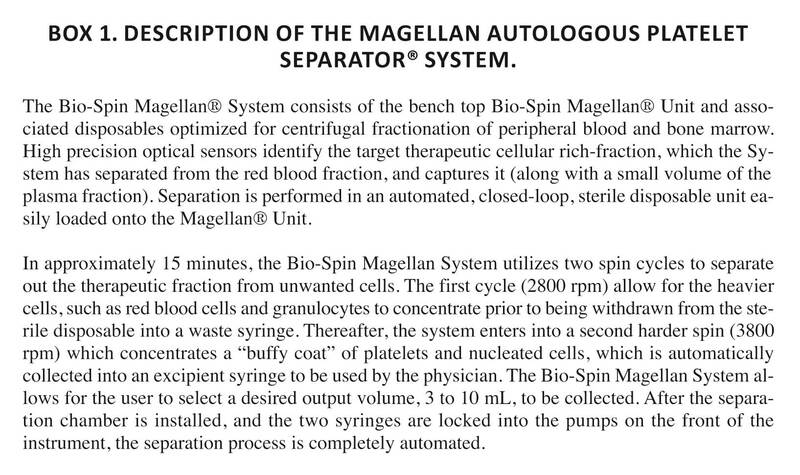 The bone marrow aspirate was passed off the sterile field and concentrated using a Bio-Spin Magellan® System, a system optimized for centrifugal fractionation of peripheral blood and bone marrow in which the separation process is completely automated (Box 1). This yielded 5-cc of Bone Marrow Aspirate Concentrate (BMAC). Subsequently, these 5-cc of BMAC were introduced intralesionally into 4 locations through a 22-gauge needle, under ultrasound guidance in real time. This was done within the most tendinotic midsubstance area and into the slight periphery. The patient tolerated the procedure well. The patient was discharged and returned for follow-up at six and eight weeks and was scheduled for a follow up MRI ten weeks post-procedure. Upon first follow-up six weeks postoperatively, the patient reported VAS score of 0 at rest, and 3 during walking, and 0 at rest and 2 while walking at the eight-week follow-up (Table 1). On physical examination, the knot was less than 50% the size that it was preoperatively. It had decreased grossly in its physical appearance and was relatively non-tender to palpation. The patient was able to toe-raise without tenderness. She reported wearing multiple types of shoes, and had been walking on uneven surfaces in heels over the last several weeks without pain or difficulties. At the eight-week mark, she was back to playing tennis without significant pain or problems, and was tolerating significant increases in her activity without pain or difficulty. A second MRI was performed ten weeks post procedure, again including coronal and sagittal STIR, coronal, sagittal, and axial T1 and T2 images. At this stage, the thickened Achilles tendon measured about 1.75 cm coronally, 1.39 cm A to P, and 1.877 cm2 cross-sectionally at the largest point (Figure 2). There was less signal hyperintensity on STIR and while some intermediate T1 signal remained, it was more normalized than on the previous MRI. The signal followed a reticular pattern, where more hypointense T1 signal was seen beneath and interposed between areas of slight T1 shortening, with a mosaic appearance in the posterior aspect of the tendon. The relative signal intensity (RSI) at follow-up was 182.471. Figure 2. MRI of the patient’s left ankle post-operatively, performed on a Hitachi 0.3 Tesla device. The name of the patient has been blacked out. T1 images used for calculations were both performed with a TE of 20, and a TR of 820, utilizing 5.5 mm slice thicknesses. Color fusion with OsiriX Imaging Software. To our knowledge, this is the first case report of the successful treatment for chronic Achilles tendinopathy using a single therapeutic intervention of BMAC. A 56-year old patient was treated for chronic pain in the Achilles tendon preventing her from playing tennis and for which conservative treatment had failed. The patient reported resuming daily activities and physical exercise with minimal pain only eight weeks later, in contrast with the standard surgical procedure, where recovery time is at least six months 46 , 47 , 48. It should be noted that in ten years, no treatment that the patient had received provided this type of relief. Furthermore, traditional surgery, which can restore function to the tendon and relieve some of the pain with activity, does not restore homogenicity to the post surgical tendon. The use of BMAC injection into the diseased or injured Achilles tendon was performed based on our experience using BMAC at the time of ACL reconstruction with Achilles tendon allografts. 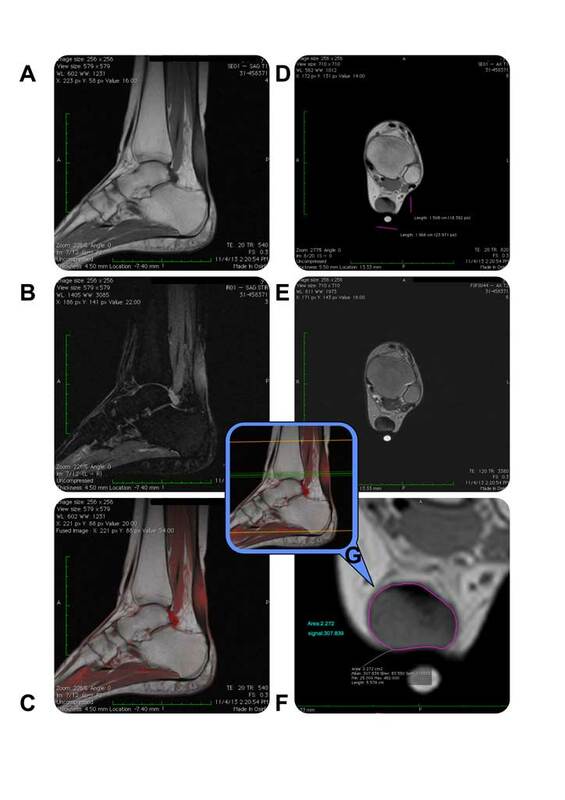 It is not uncommon to see MRI evidence of incorporation of Achilles tendon allografts as early as sixteen to twenty weeks in patients treated with BMAC at time of surgery. It has already been reported that the time to incorporation of ACL grafts has been reduced by almost 50% by the use of PRP. 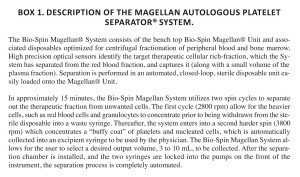 BMAC has all the qualities of PRP from a growth factor concentration standpoint that has the significant advantage of containing the angiogenic and trophic effects of CD34+ cells and the angiogenic, anti-inflammatory, and trophic effects of mesenchymal stem cells. In this case the medial proximal tibia was chosen for the aspiration site because the patient did not need to be repositioned for the intra-lesional injection. The procedure for bone marrow aspiration, concentration and injection was less than 60 minutes. Prior to the advent of bone marrow aspiration catheters such as the Bio-MAC, the only real option for bone marrow aspiration, concentration and injection into the lesion would have involved a trip to the operating room, and the use of a Jamshidi aspiration needle into the iliac crest under general anesthesia. In the experience of RWM the Bio-MAC can be used in the office setting in awake patients without the use of general anesthesia. It can be used to aspirate bone marrow from the medial proximal tibia, other long bones, and in some cases the iliac crest. The goal of using autologous biologics is not to change the pathophysiologic process of healing in the human body. Instead, it is to avoid or shorten the inflammatory phase of healing and hasten the progression to remodeling and restoration of function of the treated tendon. The rationale for the use of BMAC injection into the torn or partially torn tendon is the same as for the use of BMAC into the allograft Achilles at the time of ACL reconstruction, the torn or partially toward rotator cuff, the diseased or tendinotic infrapatellar tendon, and the torn or partially torn common extensor tendon of the elbow. The treatment is to restore cellular volume and tissue viability to the injured or chronically injured acellular fibrotic tissue involved in the disease process that is acting to cause pain and limiting function. In this treatment example the chronically injured 10-year-old partially torn Achilles tendon treated with BMAC was able to begin the healing process within the first six weeks post procedure. Homogenicity was returning on MRI demonstrating a return of cellular volume and healthier tissue. Echogenicity was reduced demonstrating healthier more viable tissue, and pain which had limited function for over 10 years was relieved with a nonsurgical procedure. The surgical approach would have involved immobilization and resulted in an adjacent soft tissue atrophy, postsurgical osteopenia of the bones of the foot and ankle and the need for significant physical therapy. In this case we were able to avoid the risks of surgical treatment and obtain healthier tissue, relieve pain and restore function in a truly minimally invasive fashion. There is nothing currently documented that changes the echogenicity of a tendon towards a healing, normal appearing tendon, with homogeneity returning at the tendinotic site. The impression of the radiologist is that the area of Achilles hypertrophic tendinopathy decreased in thickness with declining (normalizing) signal intensity on T1 and STIR. The RSI used to describe the significant tendinotic area changes represent a turning back of the destructive process in the tendon, decreasing from 307.839 to 182.471. This type of improvement is not seen even with reconstruction, after which the scar tissue still appears echogenic on MRI. At this point, the patient is doing much better clinically, with decreased VAS scores, tolerating high levels of physical court sports and returning to normal daily activities. With this report, we highlight the therapeutic use of BMAC to heal Achilles tendinopathy in a physically active adult. More studies are needed to confirm the therapeutic benefits of this procedure, including the regenerative healing, but we suggest it could represent a viable and more effective alternative than current treatments for Achilles tendinopathy, with actual healing of the affected tendon. The authors would like to thank Ms. Dorita Avila for her help with preparing this manuscript. RWM and NHR are both shareholders and consultant to Biologic Therapies Inc, Ocala, FL, USA. Jarvinen TA, Kannus P, Maffulli N, Khan KM. Achilles tendon disorders: etiology and epidemiology. Foot Ankle Clin 2005; 10(2): 255-266. Maffulli N, Wong J, Almekinders LC. Types and epidemiology of tendinopathy. Clin Sports Med 2003; 22(4): 675-692. Selvanetti A, Cipolla M, Puddu G. Overuse tendon injuries: basic science and classification. Operative Tech Sports Med 1997; 5(3): 110-117. Alfredson H. Chronic midportion Achilles tendinopathy: an update on research and treatment. Clin Sports Med 2003; 22(4): 727-741. Khan KM, Maffulli N. Tendinopathy: an Achilles’ heel for athletes and clinicians. Clin J Sport Med 1998; 8(3): 151-154. Kvist M. Achilles tendon injuries in athletes. Ann Chir Gynaecol 1991; 80(2): 188-201. Williams JG. Achilles tendon lesions in sport. Sports Med 1986; 3(2): 114-135. Paavola M, Kannus P, Jarvinen TA, Khan K, Jozsa L, Jarvinen M. Achilles tendinopathy. J Bone Joint Surg Am 2002; 84-A(11): 2062-2076. Alfredson H, Pietila T, Jonsson P, Lorentzon R. Heavy-load eccentric calf muscle training for the treatment of chronic Achilles tendinosis. Am J Sports Med 1998; 26(3): 360-366. Silbernagel KG, Thomee R, Eriksson BI, Karlsson J. Continued sports activity, using a pain-monitoring model, during rehabilitation in patients with Achilles tendinopathy: a randomized controlled study. Am J Sports Med 2007; 35(6): 897-906. Rompe JD, Furia JP, Maffulli N. Mid-portion Achilles tendinopathy–current options for treatment. Disabil Rehabil 2008; 30(20-22): 1666-1676. Robertson VJ, Baker KG. A review of therapeutic ultrasound: effectiveness studies. Phys Ther 2001; 81(7): 1339-1350.
van der Windt DA, van der Heijden GJ, van den Berg SG, ter Riet G, de Winter AF, Bouter LM. Ultrasound therapy for musculoskeletal disorders: a systematic review. Pain 1999; 81(3): 257-271. Magnussen RA, Dunn WR, Thomson AB. Nonoperative treatment of midportion Achilles tendinopathy: a systematic review. Clin J Sport Med 2009; 19(1): 54-64. Rowe V, Hemmings S, Barton C, Malliaras P, Maffulli N, Morrissey D. Conservative management of midportion Achilles tendinopathy: a mixed methods study, integrating systematic review and clinical reasoning. Sports Med 2012; 42(11): 941-967.
de Vos RJ, Heijboer MP, Weinans H, Verhaar JA, van Schie JT. Tendon structure’s lack of relation to clinical outcome after eccentric exercises in chronic midportion Achilles tendinopathy. J Sport Rehabil 2012; 21(1): 34-43. Maffulli N, Sharma P, Luscombe KL. Achilles tendinopathy: aetiology and management. J R Soc Med 2004; 97(10): 472-476. Paavola M, Kannus P, Orava S, Pasanen M, Jarvinen M. Surgical treatment for chronic Achilles tendinopathy: a prospective seven month follow up study. Br J Sports Med 2002; 36(3): 178-182. Longo UG, Ramamurthy C, Denaro V, Maffulli N. Minimally invasive stripping for chronic Achilles tendinopathy. Disabil Rehabil 2008; 30(20-22): 1709-1713. Thermann H, Benetos IS, Panelli C, Gavriilidis I, Feil S. Endoscopic treatment of chronic mid-portion Achilles tendinopathy: novel technique with short-term results. Knee Surg Sports Traumatol Arthrosc 2009; 17(10): 1264-1269. Duthon VB, Lubbeke A, Duc SR, Stern R, Assal M. Noninsertional Achilles tendinopathy treated with gastrocnemius lengthening. Foot Ankle Int 2011; 32(4): 375-379. Gross CE, Hsu AR, Chahal J, Holmes GB, Jr. Injectable treatments for noninsertional achilles tendinosis: a systematic review. Foot Ankle Int 2013; 34(5): 619-628. Distel LM, Best TM. Prolotherapy: a clinical review of its role in treating chronic musculoskeletal pain. PM R 2011; 3(6 Suppl 1): S78-81. Maxwell NJ, Ryan MB, Taunton JE, Gillies JH, Wong AD. Sonographically guided intratendinous injection of hyperosmolar dextrose to treat chronic tendinosis of the Achilles tendon: a pilot study. AJR Am J Roentgenol 2007; 189(4): W215-220. Yelland MJ, Sweeting KR, Lyftogt JA, Ng SK, Scuffham PA, Evans KA. Prolotherapy injections and eccentric loading exercises for painful Achilles tendinosis: a randomised trial. Br J Sports Med 2011; 45(5): 421-428. Ryan M, Wong A, Taunton J. Favorable outcomes after sonographically guided intratendinous injection of hyperosmolar dextrose for chronic insertional and midportion achilles tendinosis. AJR Am J Roentgenol 2010; 194(4): 1047-1053. Hart L. Corticosteroid and other injections in the management of tendinopathies: a review. Clin J Sport Med 2011; 21(6): 540-541. Klein MB, Yalamanchi N, Pham H, Longaker MT, Chang J. Flexor tendon healing in vitro: effects of TGF-beta on tendon cell collagen production. J Hand Surg Am 2002; 27(4): 615-620. Schnabel LV, Mohammed HO, Miller BJ, McDermott WG, Jacobson MS, Santangelo KS, et al. Platelet rich plasma (PRP) enhances anabolic gene expression patterns in flexor digitorum superficialis tendons. J Orthop Res 2007; 25(2): 230-240. 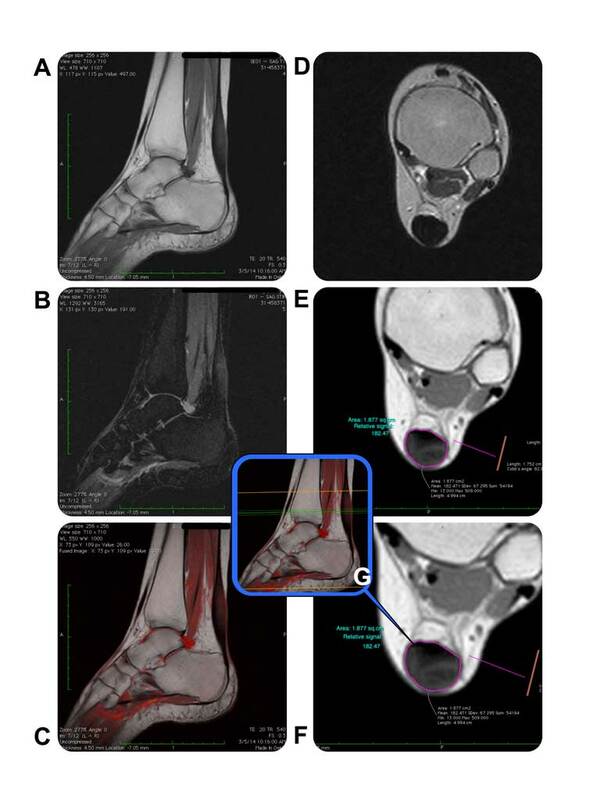 Radice F, Yanez R, Gutierrez V, Rosales J, Pinedo M, Coda S. Comparison of magnetic resonance imaging findings in anterior cruciate ligament grafts with and without autologous platelet-derived growth factors. Arthroscopy 2010; 26(1): 50-57.
de Vos RJ, Weir A, Tol JL, Verhaar JA, Weinans H, van Schie HT. No effects of PRP on ultrasonographic tendon structure and neovascularisation in chronic midportion Achilles tendinopathy. Br J Sports Med 2011; 45(5): 387-392.
de Vos RJ, Weir A, van Schie HT, Bierma-Zeinstra SM, Verhaar JA, Weinans H, et al. Platelet-rich plasma injection for chronic Achilles tendinopathy: a randomized controlled trial. JAMA 2010; 303(2): 144-149.
de Jonge S, de Vos RJ, Weir A, van Schie HT, Bierma-Zeinstra SM, Verhaar JA, et al. One-year follow-up of platelet-rich plasma treatment in chronic Achilles tendinopathy: a double-blind randomized placebo-controlled trial. Am J Sports Med 2011; 39(8): 1623-1629. Connell DA, Ali KE, Ahmad M, Lambert S, Corbett S, Curtis M. Ultrasound-guided autologous blood injection for tennis elbow. Skeletal Radiol 2006; 35(6): 371-377.
de Vos RJ, van Veldhoven PL, Moen MH, Weir A, Tol JL, Maffulli N. Autologous growth factor injections in chronic tendinopathy: a systematic review. Br Med Bull 2010; 95: 63-77. Edwards SG, Calandruccio JH. Autologous blood injections for refractory lateral epicondylitis. J Hand Surg Am 2003; 28(2): 272-278. Pearson J, Rowlands D, Highet R. Autologous blood injection to treat achilles tendinopathy? A randomized controlled trial. J Sport Rehabil 2012; 21(3): 218-224. Campbell KJ, Boykin RE, Wijdicks CA, Erik Giphart J, LaPrade RF, Philippon MJ. Treatment of a hip capsular injury in a professional soccer player with platelet-rich plasma and bone marrow aspirate concentrate therapy. Knee Surg Sports Traumatol Arthrosc 2013; 21(7): 1684-1688. Fortier LA, Potter HG, Rickey EJ, Schnabel LV, Foo LF, Chong LR, et al. Concentrated bone marrow aspirate improves full-thickness cartilage repair compared with microfracture in the equine model. J Bone Joint Surg Am 2010; 92(10): 1927-1937. Iafrati MD, Hallett JW, Geils G, Pearl G, Lumsden A, Peden E, et al. Early results and lessons learned from a multicenter, randomized, double-blind trial of bone marrow aspirate concentrate in critical limb ischemia. J Vasc Surg 2011; 54(6): 1650-1658. Smyth NA, Murawski CD, Haleem AM, Hannon CP, Savage-Elliott I, Kennedy JG. Establishing proof of concept: Platelet-rich plasma and bone marrow aspirate concentrate may improve cartilage repair following surgical treatment for osteochondral lesions of the talus. World J Orthop 2012; 3(7): 101-108. Karaoglu S, Celik C, Korkusuz P. The effects of bone marrow or periosteum on tendon-to-bone tunnel healing in a rabbit model. Knee Surg Sports Traumatol Arthrosc 2009; 17(2): 170-178. Smith RK, Werling NJ, Dakin SG, Alam R, Goodship AE, Dudhia J. Beneficial effects of autologous bone marrow-derived mesenchymal stem cells in naturally occurring tendinopathy. PLoS One 2013; 8(9): e75697. Thermann H, Benetos IS, Panelli C, Gavriilidis I, Feil S. Endoscopic treatment of chronic mid-portion Achilles tendinopathy: novel technique with short-term results. Knee Surg Sports Traumatol Arthrosc 2009; 17: 1264-1269. Duthon VB, Lübbeke A, Duc SR, Stern R, Assal M. Noninsertional Achilles tendinopathy treated with gastrocnemius lengthening. 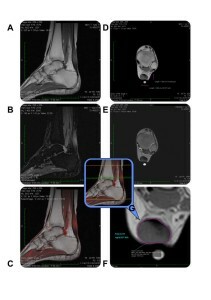 Foot Ankle Int 2011; 32: 375-379.